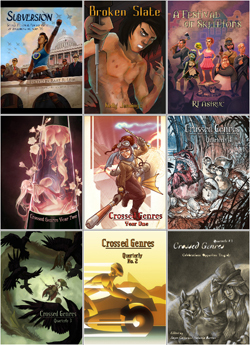 LAST CHANCE to get every Crossed Genres title for only $20! Today is the FINAL DAY of CGP’s special ebook bundle offer: Get all 9 current CGP titles for only $20! That’s more than 1/3 off the regular price! Go here to read more & to purchase the bundle! Last chance!